This workshop will cover the steps necessary to secure sponsorship, as well as useful tips when faced with some typical challenges along the way. Michelle Christie, Founder, MACs Women’s Group, will reveal all of the tatics, strategies, and methods she uses to SECURE A STREAM of sponsorship dollars for MACs Women’s Group programs, summits, and special events. She will share techniques YOU CAN IMPLEMENT TODAY that will change the way you approach sponsorship opportunities and SUCCEED! 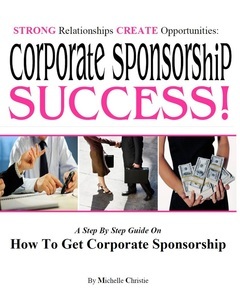 Develop irresistible, effective sponsorship packages that make prospects want to say YES!